What can I build with PlotLab? Applications include: real time data acquisition, signal analysis, digital signal analysis, video analysis, data visualization and more. The library includes a Chart-like Plot component (Scope), a Waterfall component and a Multi Waterfall component. PlotLab: for fast data plotting, charting and visulation application with almost zero lines of code! 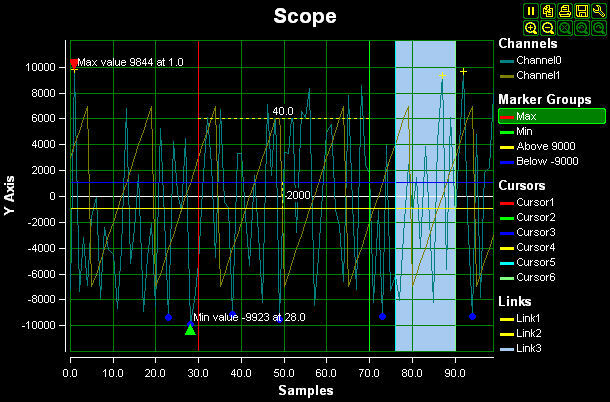 Identify and Setup easily the channels, markers, cursors, selections, and measurements. Highlight important points on the channels with custom labels. Select and highlight horizontal vertical areas or square regions. Identify and Setup easily the markers. Use markers to highlight important pints. Improved precision for small values. 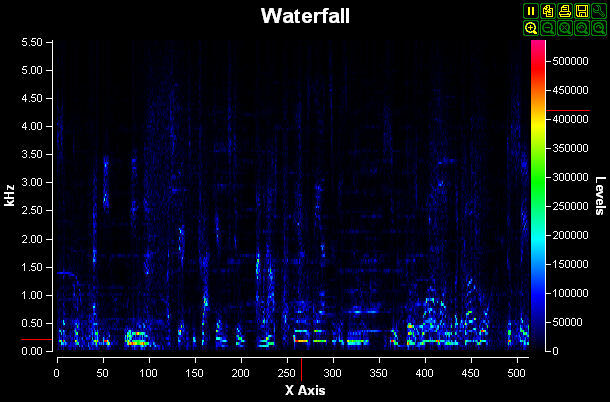 Fixed bug in the MultiWaterfall. 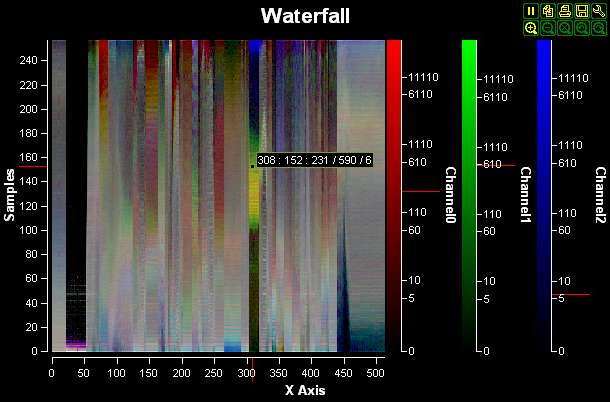 Added new Multi Channel Waterfall component. Added channel value intersections support. Added Axis zooming and toolbars. Added mouse value tip window. Updated on 2016-06-07, downloaded 1815 times. Updated on 2012-10-13, downloaded 714 times. Updated on 2011-10-18, downloaded 17003 times.